These sessions work on a first come first served basis and are NOT bookable in advance. 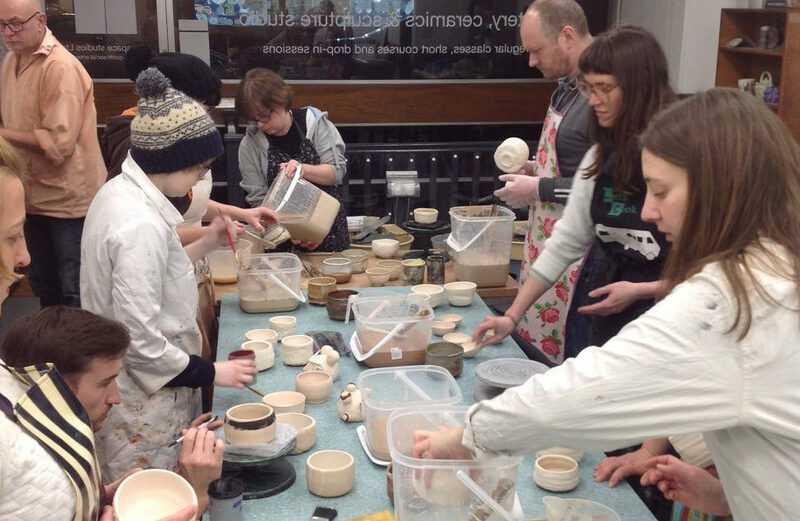 Always wanted to have a go at pottery but don’t want to commit to a whole course? These sessions are suitable for students of all abilities who want to work in a more flexible way. No booking is required for these sessions – just turn up and get making. We will give you everything you need to get you started. These sessions are are lively, interactive and busier than the bookable courses and particularly suitable for makers who want to work in a less structured way. These sessions are NOT bookable in advance and work on a first come first served basis. Studio table space is limited to about 15 or so people, this way even when the sessions are quite busy everyone can still get a bit of one-to-one tuition and support. Our schedule of regular classes and sessions follow Clayspace term dates which run roughly in line with Cliftonville school terms. £10.00 per 2 hour session. £12.50 per 2½ hour session.